Tom and I had a wonderful 10 days in the USA… Florida to be exact. We flew in and out of Miami but did a bit of traveling within the state and made excellent use of our time there. 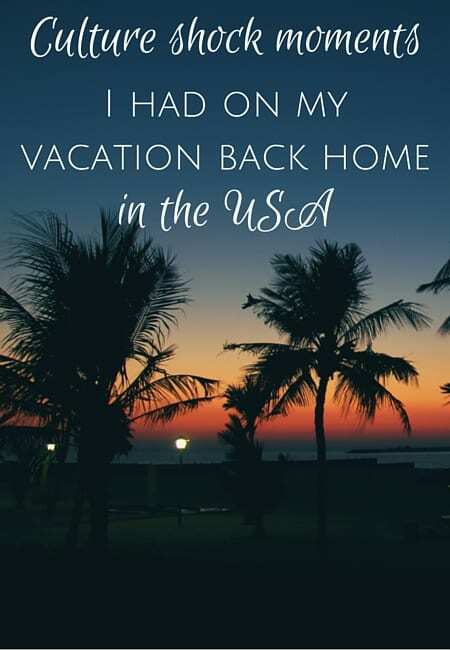 Since I am American and lived my entire life in the USA until about 5 years ago, I won’t say that anything on vacation was really shocking. But since I hadn’t been there in over a year and a half, I did have a few culture surprise moments and interactions I wasn’t expecting that are worthy of noting — and that’s what we’re talking about here. 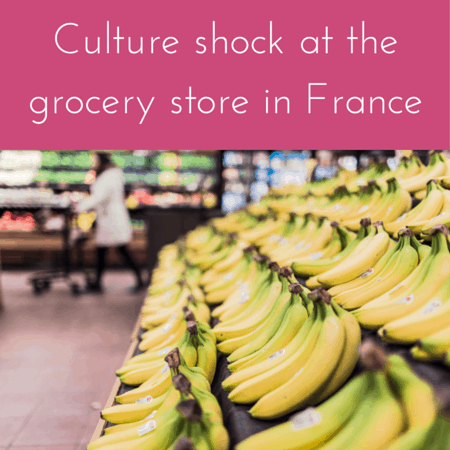 Read on for my culture surprise moments in my own country! 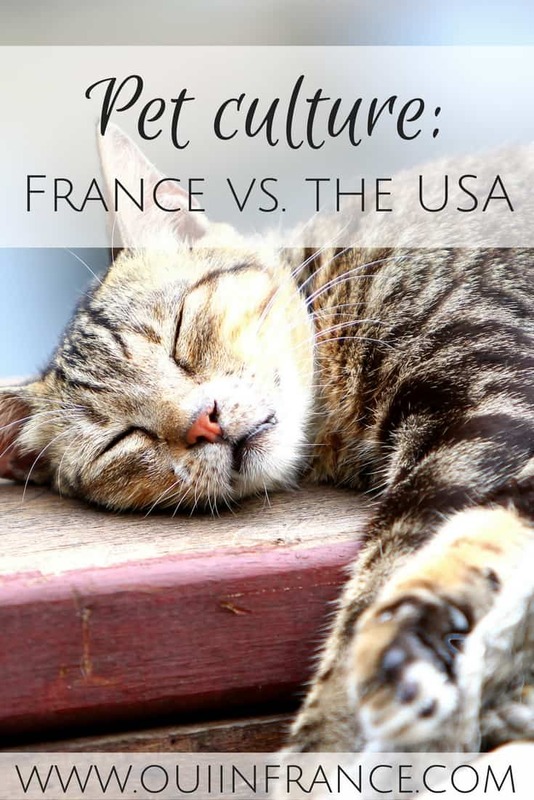 I guess you could say I’m pretty used to my life in small-town France these days, so a change-up to my routine in bustling Southern Florida was sure to mix things up. Here are some of the culture surprises I experienced while there. Across the board, pretty much everywhere we went, portions were quite big and it’s not because Americans eat one meal a day or are particularly hungry — a ton of food goes in the trash uneaten. The plates are huge and restaurants fill them up! It came across as really unnecessary and wasteful. If people aren’t finishing their meals, why keep making them so big? I think I cleaned my plate once and it was a small lunch portion at a Singer Island hotel restaurant. We ate out a bunch and just about every time, the waitress asked if we needed separate checks or how we wanted to split the bill. Most of the time they asked before we ordered and I understand why — it’s just easier on their end — but this question wasn’t nearly as common the last time I was in the USA. If we wanted separate checks back in the day, we’d politely ask and it wasn’t something the waitress offered. OMG this place is GREAT! I love going to Target but I’d never been to a Super Target until this trip. The selection is unreal and so are the hours. From new and interesting healthy products and snacks to clothes to toiletries to food, Super Target has everything and even closes at midnight Friday and Saturday. My aunt who came to visit assured me that even she is impressed with Super Target (and she lives in the USA year-round) so yea, it really is a great place to shop. Last time I was in the USA, the little credit card terminals at the register in stores did not accommodate chipped debit/credit cards. And at the time, only a few banks were issuing chipped cards. Now, tons of people (myself included) have chipped cards and the terminals have the capability to accept inserted chipped cards. This was the case in over half of the stores we stopped in including Walgreens, Target and a bunch of mall shops. But are they secure? At Walgreens, we had the card run as debit and it didn’t prompt us for a PIN at all. I could have dropped my card in the parking lot, a stranger could have picked it up and gone on a wild shopping spree grace a moi. Also, if you ask a store to run your debit card as credit, there’s no PIN required ever (we did this because Tom forgot his PIN on his American account) and stores didn’t even ask for ID! Seems like the US could do more to prevent fraud. In France, when you use your card, you always have to enter a PIN. 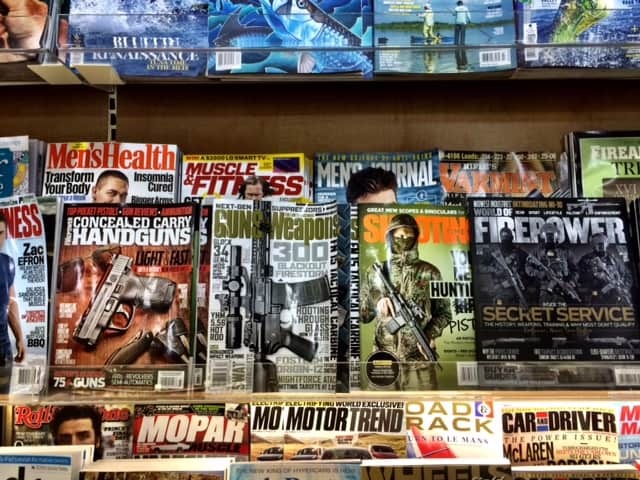 While perusing the magazine rack at Publix, Tom called me over to take a look at all the gun magazines. He had a laugh because you’d never see that in France. Definitely not at the grocery store anyway! People in Florida tend to be friendly, but even I was a little taken aback when the cashier at Publix asked if we were having a good day and what we were doing. She asked if we were going to the beach, etc. She was just making conversation and being friendly but it felt a little invasive — and that instance wasn’t an isolated one. In general, cashiers, waitresses and other people we ran into just seemed to be more chatty than what I’ve come to expect as normal. Most of the time it was fine and I enjoyed it but I definitely noticed the difference in France. 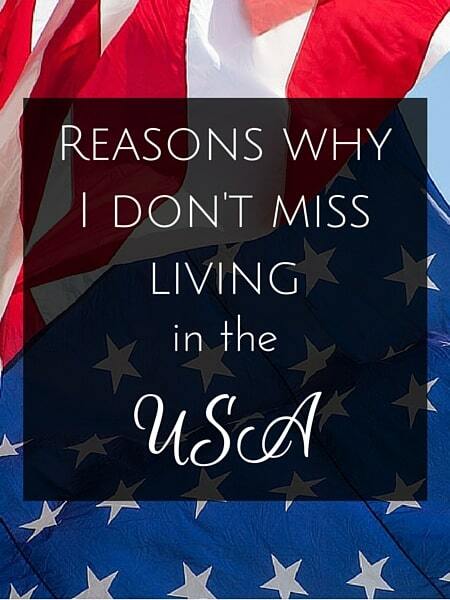 Did anything in your own country take you by surprise after you’d been away awhile? 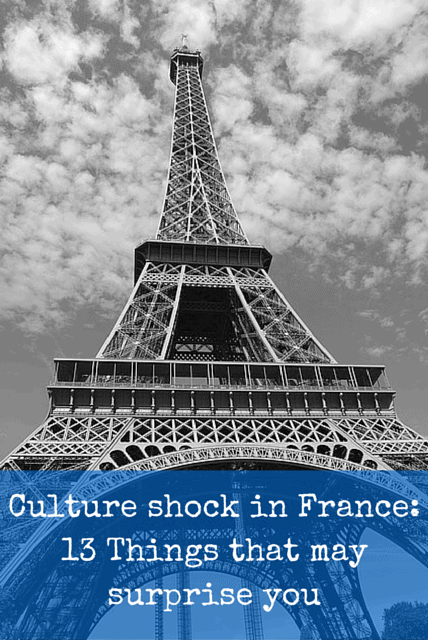 What reverse culture shock have you experienced? I’ve had grocery clerks ask me what I was going to make with things I was buying. Or tell me about their problems with their kids. Or tell me I can be saved (and I hadn’t uttered a word). It’s all kind of surprising. Saved? As in religion? Where the heck was that? Funny! Thanks for sharing your “surprise” moments. Yup, that’s what my parents said about chip cards, that it’s a new thing. I’ve heard stories similar to yours about card #s being stolen and even if you’re careful, there are so many ways for the account to be compromised — one being that you can run it without a pin as credit (not an option in France), as I experienced. So the pin isn’t stored in the machine but anyone can use the card if you drop it! And yes, I think we still have a long way to go before credit card fraud is eradicated. I’ve been happily using my chip card all around France & Germany, and I’ve never had to input my PIN. Just sign the slip like usual (or, at the Auchon in a French village, I didn’t even have to sign, even though the bill was over 200 euros. This seems odd to me – but maybe it’s like the above commenter said, that PINs can be stored? Yup, in many parts of Europe (everyone in France it seems), American cards are always run as credit (no code required) even if it’s a debit card. Very scary if I lost my card. Anyone could use it to wipe out my account! I think portion size comes down to greed. Americans want more for their money. I’m against it. I like small portions, which makes smaller, healthier people. One difference I keep thinking about is the news. In France, when I was there, it was just 10 minutes of straight news. I don’t like how they dramatize it in the U.S. Even the meteorologist teases us with a little bit of forecast, but says he’ll tell us the rest in a few minutes, so we have to stay tuned in. I just did a road trip from Michigan to Kentucky, and I found the cashiers down there to be friendlier, too, and more appreciative of my business. Thanks for sharing your observations, Mary! I try to watch as little news as possible because it’s so depressing. They run the same thing 100 times and yes, it’s over dramatized. Even in France. I’ll go online, find out what I need to know and then move on. Yup, seems that people in the South are friendlier overall! Oh wow, yea that’s nuts. So easy to steal a card and drain the account. I think a pin should be used for every transaction, both debit and credit. And IDs should be checked! Enjoy your trip! Here in Aus it is normal to just tap and go or pay wave the card it is easy and great I love it as does my mum it is only for purchases under $100 and yeah if you lose your card it can be a problem but I think the benefits out weigh the risk. Agreed, benefits outweigh the risks! Super Target sounds amazing! I took Hugo to Target for the first time on our last trip to California and that was just the normal one! My American chip card requires me to sign when I used it in any country, and I will say that my American bank is really vigilant about fraud and of course has accommodating customer service, which BNP definitely does not! (Once I went 5 weeks with no French bank card because that’s how long BNP took to replace it.) 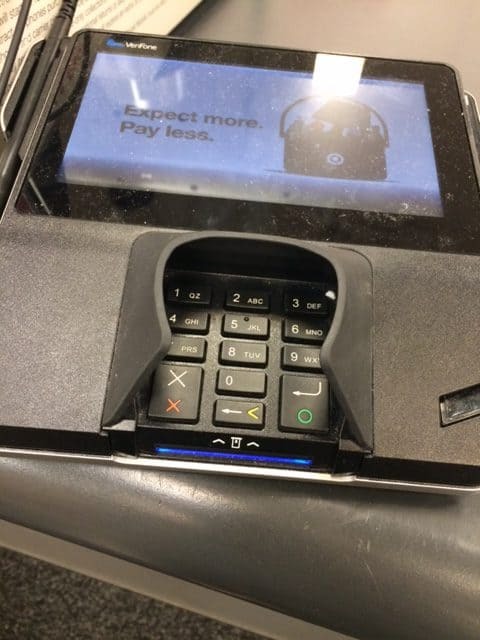 I am always super confused with how to pay at the grocery store in the US now that some machines accept chip cards, some don’t… and I always forget about sales tax! I do love how easy it is to split the bill in France with the little card machines. I wonder why we don’t have those in the US. Those gun magazines would have freaked me out! But I’m from California so it would be quite weird to see them in the supermarket 🙂 I like the friendly small talk at the register but it feels weird that there’s not the same emphasis on saying “au revoir” – if no one says goodbye, I’m like, is this transaction over? Can I go? Am I waiting for something? I like that clean French finality.